Size: 1 ½ in. by 1 in. 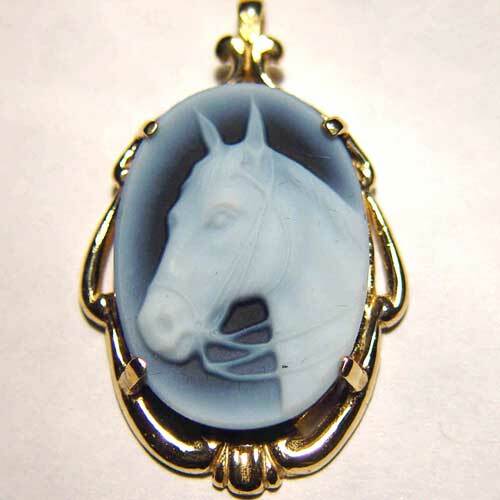 Desc: 14 karat yellow gold banded agate horse head in bridle cameo pendant. We can mount this cameo in gold or silver mountings of your choice, elaborate or simple (Contact us for details).